A' Design Award and Competition - Profile: AGC Design Ltd.
Home > Designer Profiles > AGC Design Ltd. This is the public profile of AGC Design Ltd., Additional information and high-resolution images are available for accredited press members, to access additional information about AGC Design Ltd. please login as a press member. 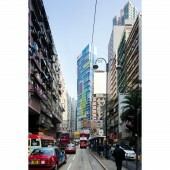 About AGC Design Ltd. : Tony Lam is graduated from the University of Hong Kong. After practicing in Hong Kong and Canada for years, he founded AGC Design Ltd with other partners in 1999. AGC is comprised of a strong and creative design team in master planning, urban design, architecture and interior design. The firm’s body of work includes residential, hotel, retail, entertainment, office, heritage, education and religious facilities in Hong Kong, Macau and Mainland China. 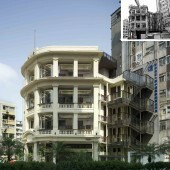 In 2005, he got a Master Degree in Architectural Conservation from the University of Hong Kong. He believes it is important to have local cultural in the architectural design. One of the successful project he did the revitalization of Lui Seng Chun into a Chinese Medicine Centre which is an award winning project. Other than as a practicing architect, Tony has published books and research papers on local heritage. He is a member of a government body, Antiques Advisory Board for all heritage issues in Hong Kong. Tony has been invited for lectures, seminars and public forums for architectural and heritage topics. He is guest critic in the universities for many years. He also participates in Art exhibitions and events. My fascination with architectural design and its challenges lie in its constantly changing parameters: a different site, a different set of requirements, and a different time. The only factor that remains unchanged is 'change'. Achieving this principle with each project is the ultimate aim. The appropriate "feeling" conveyed by a project is the starting point of its design. this will determine the planning, built form, scale and choice of materials. The design process is a combination of both subjective and objective thinking. it's not always possible to explain why a decision is made. Different building types have different priorities, come are more functional, e.g. a hospital, come are more dramatic, e.g. a cinema. The same applies to different parts of a building: the public area may be more dramatic than the private area. Projects of different scales have different emphases. Master planning is concerned with the spaces in between buildings and their relation site context. Building projects relate to form, elevation and layout. Interior design is concerned with material and space. Spatial and visual experiences are the key generators of design. The Characteristics of a site become major design. In Hong Kong we are always confined by small spaces. How to break that confinement is the primary concern of my design philosophy. Typical strategies used to enhance spatial arrangements include minimising long corridors, combining circulation zones with functional space, using glass partitions to visually blend adjacent rooms, and opening up external walls to psychologically enlarge the internal space. Awards received by AGC Design Ltd.
Press Members: Request an exclusive interview with AGC Design Ltd..